Chris Brown had another Twitter tantrum. I am not surprised. He has a lot of backlash from his appearance and win at the Grammys. Is it fair? That is not for me to decide, however, I don’t recall massive outrage from Miranda Lambert when other musicians were in the news for domestic violence and were either nominated, won or performed on the Grammys. What I find hypocritical, I am sure Miranda Lambert and his other naysayers have attended many an award show, applauded, posed, talked, and had a good time with people who have been in the same appalling situation. Chris Brown is young, handsome, and talented with major anger management issues. That is obvious; yet, all of his critics seem to forget he is in the process of satisfying the courts and is working hard to redeem himself and is still under court ordered supervision. Controlling anger will more than likely be a lifelong process for him. Country star Rodney Atkins (American Country Music Awards winner) struck a deal to avoid jail time for allegations of trying to suffocate his wife last year; Mötley Crüe has been nominated four times for a Grammy and drummer Tommy Lee spent six months in jail for beating Pamela Anderson Lee; Guns N’ Roses was nominated three times and lead singer Axel Rose had to pay his ex-model girlfriends Erin Everly ($1 million) Stephanie Seymore ($400,000) for physical altercations during their relationships; country music’s Tracey Lawrence was arrested in Las Vegas for hitting his wife Stacie Lawrence; even Eminem and the late ‘Godfather of Soul’ James Brown made headlines over the years. The list goes on. It’s been reported; Rihanna, the woman who actually suffered the assault and the only person whose opinion he should care about has forgiven him and invited him to her recent birthday party. Miranda Lambert should learn the lesson on forgiveness from RiRi. 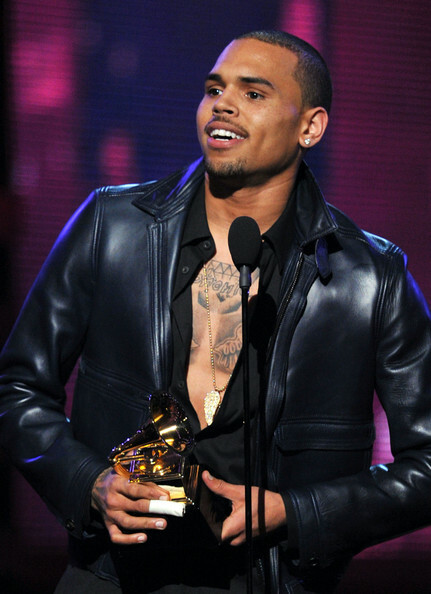 Do you agree with the backlash from Chris Brown performing at the Grammys?